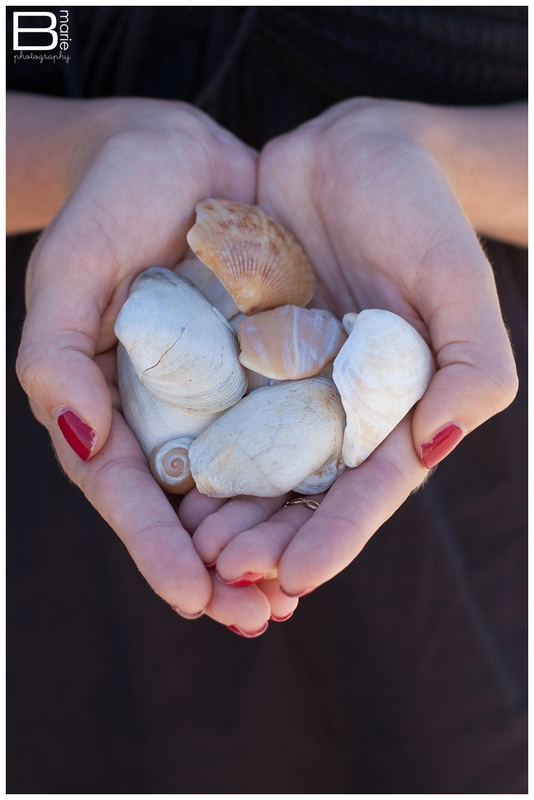 As I was walking along the beach this past weekend in beautiful San Diego, I started to pick up a shell or two. So many beautiful shells were left in the wet sand because they had chips out of them or cracks running through them. They were left behind because they weren’t perfect. They were incomplete. The desire for perfection was drastically limiting my options. I think a lot of the time being a perfectionist or A-type can work in your favor. It can make you focus on the details and make sure that all bases are covered. It can assure that you continually put forth nothing but your best self. It can set a high standard of achievement. It really can help. And then there are the times that it doesn’t. I’ve always been a perfectionist… whether it was beating myself up after winning a game because I hadn’t made every play, or being angry about that one B I got in college. I’ve pushed myself to reach a certain standard, and when I didn’t, I’d be my own worst critic. Motivating, yes – but healthy? Not always. There’s the stalling effect that perfectionism can have because you always feel like there’s something you could make better, preventing you from ever finishing. There’s the overwhelming pressure of it all. I’ve noticed this tendency coming back more and more lately. There’s the pressure to hold myself to a standard of blogging everyday, even though I initially set the standard at at least a few times a week. Give it about two weeks of actually posting every weekday, and BOOM. A new standard is set. It’s a good thing – I love seeing the feedback and hearing how people have reacted positively to what I’ve posted. But then there’s the part where it’s taking time away from sleep and from spending time with family – especially Max. There’s the stress of trying to pre-blog for when I am traveling. Then on top of that, there’s the pressure to write things that matter and will impact people, rather than just writing to write. Don’t get me wrong, I always want to make sure my posts have value. Whether it is a glimpse into my family life so that future clients can get to know the person behind the camera (plus doubling as a descriptive family photo album), a motivational quote to hopefully be just the right words someone needed to hear, or a session recap that highlights my amazing clients in the way they deserve. There’s the pressure of trying to get sessions edited, blog posts done and galleries posted in no time flat – while also working a full time job and being a wife & mother (AND trying to find some “me” time for reading or time to find ways to keep growing my photography & my business. Now with all of that being said, PLEASE don’t get me wrong. I LOVE these things. I LOVE my clients and getting their images to them quickly. I love the therapeutic nature of writing and how it can connect me with people. I love the feeling of accomplishment and the routine of posting each day on the blog. I love being able to share bits and pieces of my life and struggles to help uplift others. But letting those things turn into the pressure of perfection is not ok.
After a little while of walking on that sun-drenchced beach, it dawned on me that it would probably be better to have the cracked shells, the broken ones – they would serve as a reminder that perfection isn’t necessary. That beauty can be found in the broken parts too. Time and experience had worn those shells, and they’d made it through – and there is beauty in that. 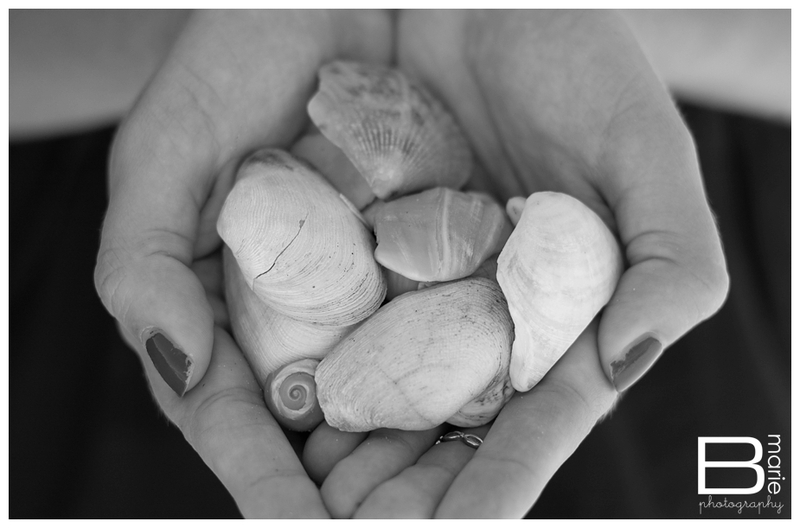 I hope these shells can serve as a reminder to you, just as they do for me, that perfection is not necessary. I’ve had some great people to learn from!! !